Returning to our iconic papaya orange and blue, the McLeren Formula 1 MCL33 will contest the 2018 FIA Formula 1 World Championship, and marks the first time in McLaren’s 52-year history that it has run a car powered by Renault engines. After the fall-put with Honda over engine quality and forgettable 4 seasons, McLaren is back with a new car and a new engine supplier. Fernando Alonso and Stoffel Vandoorne will race in a revised shade of orange in 2018 after McLaren unveiled their new F1 car in a stunning ‘throwback’ livery. Much of the work on the new car has understandably gone into optimising the packaging of the new Renault power unit, and the incorporation of the new halo device. 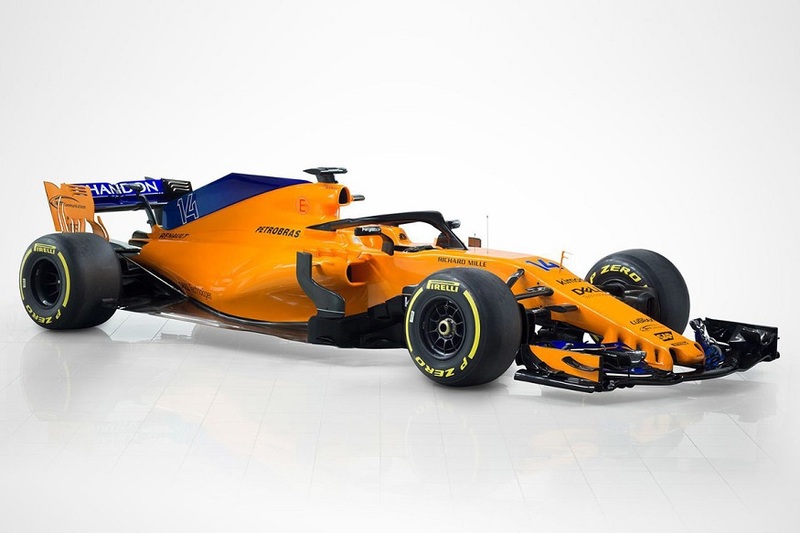 The MCL33 – the first car in McLaren’s 52-year history to be powered by Renault engines, following the team’s switch from Honda – adopts the papaya and blue colour scheme that the team first raced in F1 50 years ago, and which was revived during Alonso’s Indy 500 attempt last year. 2018 marks Fernando Alonso’s fourth successive season with McLaren, and whilst the two-time world champion is eager to get going, he’s keeping a level head about expectations. “I’m really looking forward to getting behind the wheel of a Formula 1 car for the first time in three months,” said the Spaniard. “Looking at our new car, I feel incredibly excited – but also apprehensive. I know just how important this car is to the team, and I just hope that it delivers in the way we all want it to.